I was happy to learn that Vilarnau uses no herbicides and utilizes a nearby lake and rain water to irrigate their vineyards. All this makes for a great tasting,organic wine. They are located outside of Barcelona Spain so on your next visit, you can book a tour of the entire vineyard complex. The use of indigenous Spanish grapes gives it a wonderful taste and a distinct,bright, crisp finish. In 1982, Vilarnau was purchased by thr Gonzalez Byass family of wines. The Brut is complex, made from 3 separate wines and has the primary aromas of grapes. The rosé is intense with red berries and subtle violets. The rosé uses two types of grapes: Gamacha and Pinot Noir and pairs well with dishes like paella, pizza or pasta. Enjoy both as an aperitif or anytime! Vegans are very limited to drinking wine due to the fact that part of most winemaking processing includes gelatin or animal by product. Vilarnau wine uses none of these so Vegans can now raise their glass with assurance! Vilarnau Cava has a second fermentation in the bottle(same method as Champagne) where it is in contact with yeast for at least 15 mos. This gives it’s bubble their slow and long lasting effervescence. Everyone enjoyed the brightness of the flavors and of course the fantastic bubbly. The beauty of the bottles added to the celebration. As Vilarnau would say.. “life is full of little moments worth celebrating, so #makeitsparkle” with these spanish sparkling wines from Vilarnau! Disclaimer: Thanks to our friends at Simply Crepes Raleigh for hosting SobeSavvy.com and inviting us to try their Rugby Crepe! Since moving to Raleigh almost 4 years ago, I have managed to find a few of my favorite restaurants here. One of them is Simply Crepes. Located in the fashionable Lafayette Village, Simply Crepes is a family owned homage to everything crepes. Savory and Sweet rule the day here. I have always told all my friends and family about the place. I am glad to announce they will soon be known to millions more. Simply Crepes will have their own featured segment on the iconic Food Network show called “The Best Thing I Ever Ate” on April 8! Entering it’s 10th season, this show highlights what and where celebrity chefs and hosts of Food Network Programs like to eat on their off time and on their own dime. Chef Fabio Viviani (whom I had the pleasure to meet/interview in Miami in 2015 and dine at his restaurant Siena Tavern Miami), is the breakout star of the reality show Top Chef who now owns various eateries and restaurants nationwide! He stopped by Simply Crepes in NY while on a business trip in the area and was impressed by the food to say the least. There was one crepe in particular that he fell in love with. It is called The Rugby Crepe. Simply Crepes calls this their homage to the Big Mac. Shaved Angus Steak , crisp lettuce, cheddar cheese, pickles, sauteed onions on a sesame seed crepe! Chef Fabio Viviani approached the owners to be on the show. They agreed and as they say, the rest is history. I had a chance to try this crepe with the option of adding applewood bacon and agree with Chef. It is amazingly good! The best part was the Russian dressing. I could seriously put that on everything! Simply Crepes also has some incredible sides to go with this now famous item. Their Brussell Sprouts are something to behold. Crispy, with balsamic and goat cheese crumble. You may also want to try their loaded potatos as tasty side or one of their delicious soups. I recommend the Creamy Potatoe and Bacon Chowder. No matter which starter or side you choose, save room for dessert. The Bananas & Creme Crepe is the perfect sweet ending to your meal. 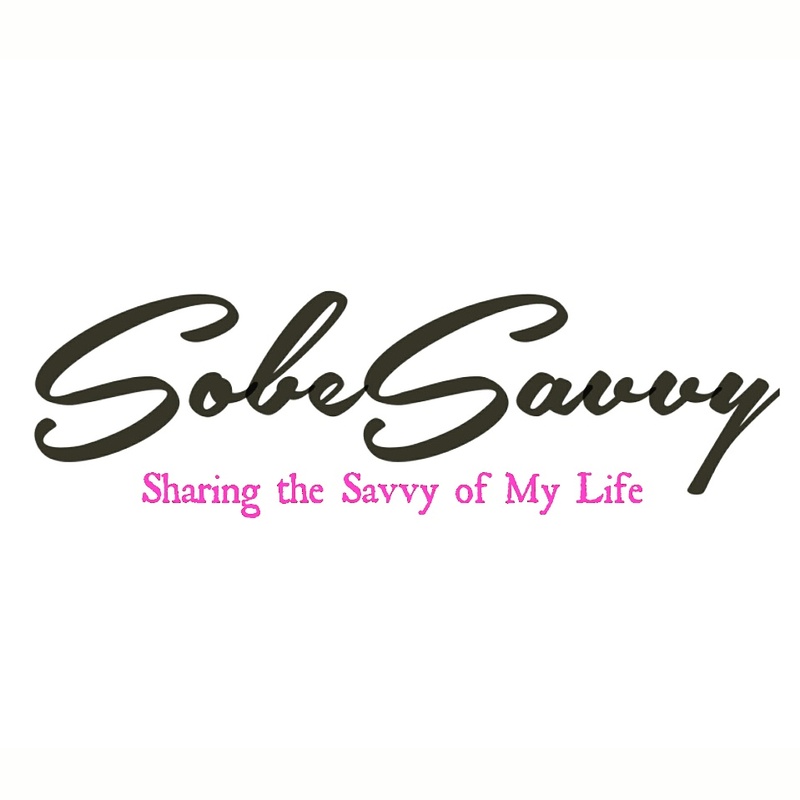 SobeSavvy Tip: Visit Simply Crepes on Mimosa Monday’s and you get half price mimosa’s and also $20 Mimosa Carafe’s. They offer 4 different flavors for your choosing. It is the perfect way to celebrate with Simply Crêpes! Make sure you tune into ‘The Best Thing I Ever Ate‘ on the Food Network on April 8 to see the Simply Crepes feature. Better yet come through Simply Crepes today and try it for yourself. It may end up the best thing YOU ever ate! •Have you dined at Simply Crepes before? •What is the best thing you ever ate? Let me know in the comments below and thanks for reading! Having a little one means sometimes foregoing a Friday night on the town. However, this past Friday Nana was in town and that meant one thing..DATE NIGHT! Lucky for us, a spot here in Raleigh that we had been wanting to try was hosting a special event. The place that has been on our radar is called VIDRIO. •Why: It’s a fun night out and a chance to experience the sights, smells, and flavors of the world’s best spirits and craft cocktails. You vote for your favorite to move to their finale, and get featured as Cocktail of the Year! This week the visiting bartender was Matthew Bettinger. He is a mixologist of the highest caliber. His raw knowledge of the spirits and the fresh ingredients he chose and paired was amazing. Alex Bridges, a member of VIDRIO‘s beverage team is equally passionate and skilled in the art of cocktail-mixing! The crowd was enthusiastic and curious about each cocktail. Each month a VIDRIO bartender comes up with a cocktail to compete with the visiting bartender’s cocktail. It starts with a “base” spirit and they build on that. This month the spirit was Lunazul Blanco tequila. First up was the creation of VIDRIO Bartender Alex Bridges called, “It’s Been Fun“. The ingredients that caught my eye was aloe vera and peach jam! Having an actual slice of blood orange in the glass made this a very attractive drink. The visiting Bartender, Matthew Bettinger, created a drink called “A Friendly Visit“. He infused Rosehip & Hibiscus into a cordial and added it to his cocktail creation. It was refreshing and pleasing to my palate. Both were very different from each other and both very well done. I voted for “A Friendly Visit“, while my husband went for the “It’s Been Fun“! Turns out the cocktail that won was…drum roll, I mean martini shake please….”It’s Been Fun“! It was a great time! Grab your favorite drinking friends, or plan a date night and mark your calenders to return for the next one in March. Click here for details of the next event! After such a fun experience at the cocktail roundtable, we decided to stay and have a dining experience here. We moved to a table for 2 in their spacious dining room. It has a endless ceiling with blown colorful glass on an entire wall. It was a surreal setting to say the least. Both of us wanted some wine and lucky for us VIDRIO has 48 wines..ON TAP! They have something no matter what your wine taste dictates. We were as little undecided and ultimately chose to do one of their curated wine flight offerings. We went with 3 reds. Each 3 oz pour was very different from each other. One was dry, one medium and one had a touch of sweetness. Each sat on a cute descriptive mat with the names and varietal tasting notes. It was actually quite a beautiful display. Oysters On The Half Shell were on deck for an appetizer. Half a dozen bivalves with all the trimmings. Freshly shucked and delicious. The full menu is available at the bar and prior to our dinner, we enjoyed their tasty and tender Moroccan Beef Skewers. I am a sauce person and loved every bit of the harissa Greek yogurt to dip the skewers in. Since we were not that hungry, we decided to just split a dish. Their Short Rib Bolognese Pasta came highly recommended by our friendly and attentive waitress. She explained how the the pasta and even their ricotta with lemon zest was made in house. It was very flavorful and expertly done. The pasta was thin and light and the short rib was incredible. This was one of the best pasta dishes I have had since one night in Rome 8 years ago! Their dessert menu had some great choices but we were beyond satisfied and called it a night. Make reservations now for your own great night at VIDRIO. 5 Reasons You Go To #SundayBrunch at @PhillipsSeafood in Baltimore MD AGAIN & AGAIN! All You Can Eat Crabcakes on a #SundayBrunch Menu ….. Adult #brunch buffet (includes Bottomless Bloody Mary Bar) cost is $35.99 and $14.99 for kids 5-10 years of age. Kids four years and under eat for FREE! The variety of food: CARVING STATION | RAW BAR | HOT BAR BUFFET | OMELET STATION & so much more was amazing plus the service was great! Here are my 5 Reasons You Should Go To Sunday Brunch at Phillips Seafood in Baltimore, Maryland AGAIN & AGAIN! Get ready to feast with Phillips Seafood’s new all-you-can-eat Sunday brunch buffet which started on Sunday, November 11, 2018. Adult brunch buffet cost is $35.99 and $14.99 for kids 5-10 years of age. Kids four years and under eat for free. Available every Sunday from 10am to 2pm. From made-to-order omelets and classic breakfast favorites such as bourbon french toast and waffles, to fresh griddled crab cakes and carved prime rib, to their extensive raw bar featuring freshly shucked oysters, crab claws and peel-and-eat-shrimp, there’s something for everyone to enjoy. They also have all the classic breakfast sides like applewood smoked bacon, sausage, roasted potatoes, biscuits and gravy, plus some special lunch items such as baked salmon, clams, mussels, fried chicken and glazed honey ham. Round out your brunch with selections from the bakery bar with assorted bagels & cream cheese, breads, croissants, danishes, muffins and cereal. The Bottomless Bloody Mary bar is fully stocked and ready to give your morning a bit of a kick! Choose a Traditional or Spicy Bloody Mary base, then add in your favorite condiments to build your perfect drink – they’ve got olives, pickles and veggies, plus pepperoncini, pepper jack cheese, pepperoni and bacon. Finish it all off with a stalk of celery and keep ‘em coming! A big fan of the bubbles? Order up a Mimosa in classic orange, cranberry, grapefruit or pomegranate for $6 each. Sangria is available for $4. Juice, coffee, and tea are free. Within the world famous Inner Harbor, Baltimore’s premiere dining and entertainment destination, Phillips Seafood Restaurant is located at 601 East Pratt Street. You can find street parking, or park at Pier V garage parking for a discount for dining at Phillips. Nearby are lots of family fun attractions to enjoy. Need some ideas? Check out my Top Sunday Funday Activities To Do in Baltimore MD. Phillips is open Monday through Thursday from 11 a.m. to 10 p.m., Friday and Saturday from 11 a.m. to 11 p.m. and Sunday from 10 a.m. to 9 p.m. For more information, visit www.phillipsseafood.com. Questions? Give them a call at 410-685-6600. 👀WATCH my YouTube video for a tour of Phillips Seafood Baltimore Sunday Brunch. Foodies get ready! Triangle Restaurant Week is starting Monday (Jan. 21-27) and we get to enjoy menu deals for lunch and dinner at some of our favorite restaurants. This is a good time to make your reservations at places you’ve always wanted to try. Or perhaps return to a restaurant you may have been to before but can now try something new and different from the menu. Since there are so many premier places to choose from, I thought I would help by giving you a preview of the special menu from one of my favorite restaurants, Seasons 52. Although my guest & I had dined at Seasons 52 before, our server Devonte was helpful and ready to answer any questions about the menu. The items being featured on the Triangle Restaurant Week menu are the same from the regular menu. We were happy to see our favorite Garlic Pesto Chicken flatbread as a choice to share in the first course. Their flatbread is the perfect first course as a shareable appetizer because it’s light, and there is great flavor in every bite. I could not believe it was only 460 calories! Salads may seem mundane to some but not here at Seasons 52! I ordered the Romaine and Baby Kale Caesar Salad which came with plenty of shaved parmesan and a light, creamy dressing. It was good but the star salad was the Seasonl Spinach Salad (Spinach and Caramelized Bosc Pear). The combination of pears,spinach, gorgonzola, toasted walnuts and a delightful sherry-walnut vinigrette dressing was amazing! For the third course I ordered the Cedar Plank Roasted Salmon and my guest went for the Wood-Grilled Filet Mignon. You couldn’t go wrong with either one. It just depends on whether you want surf or turf. The salmon was prepared and served on a cedar plank, which gave it a wonderful flavor that only cedar can bring out. The steak was mouth melting with a incredible sauce and mushrooms. It came with yukon mashed potatos and caulilini (not to be confused with brocollini)! It was my first time having that vegetable. It tastes like sweet cauliflower and looks like broccolini. I love discovering something new to enjoy. Thanks Seasons 52 for the introduction. Whatever you do remember the following 4 words: SAVE👏 ROOM👏 FOR👏 DESSERT. Seasons 52 has iconic status when it comes to it’s Mini Indulgence Desserts. They are served in single serving shot glasses filled with all sorts of goodness. Carrot Cake, Key Lime Pie, just to name a few. No need to feel guilty because after 3-4 spoonfuls, it is gone but not forgotten! The perfect sweet ending to an amazing dinner at Seasons 52! SobeSavvy Tip: Did you know Seasons 52 offers 52 wines by the glass? If you are a wine lover like me, take the opportunity to try some of the wine pairings on the Restaurant Week menu. I recommend the Harvest Sun Chardonnay with the garlic pesto chicken flatbread and the salmon. Overall our dining experience was a great one! Not only did we enjoy our 3 course meal but left feeling good after eating healthy, full-flavored dishes from Seasons 52! HAVE YOU DINED AT SEASONS 52 BEFORE? WILL YOU BE DINING OUT FOR TRIANGLE RESTAURANT WEEK? FACT | Food Holidays don’t just stop at Thanksgiving for Foodies. We celebrate anything that our tastebuds desire whether it is on the calendar or not! However, when I saw that National Day Calendar listed January 12 as Curried Chicken Day I had one place in mind to go and enjoy curry chicken. That place is Curry in a Hurry! Located in Morgan Street Food Hall, which recently nominated for Best New Food Hall by USA Today, Curry in a Hurry transports customers to India right here in downtown Raleigh. Owned by Chef Alaksha Surt, this restaurant features award winning, authentic Indian Food dishes using recipes influenced by her mom and grandmother. You can taste her passion for cooking in every spicy, flavorful bite! Her food truck, which is the only Indian Food Truck in our area, has been a regional fixture in and beyond the Triangle for some time. Last year she decided to open a brick and mortar location and become the only Indian restaurant in the popular Morgan Street Food Hall. Foodies from near and far flock here to get a taste of her unique flavors. Some dishes are mild and some dishes have that kick that only authentic curry can deliver. Recently my husband and I enjoyed a spicy lunch date at Curry in A Hurry. We learned that Chef Alaksha Surt hails from Bangalore, India and combines authentic Indian spices with fresh, quality ingredients to cook her curry dishes. We ordered the Butter Chicken, their signature dish, and Green Chicken Curry. The Butter Chicken was described to us as the starter dish for those unfamiliar with curry. The flavorful chicken is so tender and melts in your mouth like butter. It’s mild spice makes it a great introduction to Indian cuisine. We enjoyed every tasty bite of this dish. Love a little spice in your life? Then the Green Curry Chicken is your dish. For those of us who enjoy Thai food, you will enjoy how Curry in a Hurry prepares theirs. From the rice, to the green curry sauce the quality of the fresh ingredients does not get lost. Head to Curry in a Hurry to enjoy a taste of India (and Thailand too) with the amazing flavors and spice used in their curry chicken dishes. They also offer vegetarian, vegan, and gluten-free options. Come try for yourself and you too will be back again and again to celebrate #curriedchickenday anyday! SobeSavvy Tip: Right across from Curry in a Hurry is a great place to enjoy a sweet ice cream treat. Raleigh Rolls uses fresh ingredients to make ice cream before your eyes! This unique and delicious Thai ice cream is the perfect dessert after having the Green Curry Chicken, another Thai fave. Do you enjoy Curried Chicken? Have you tried Curry in a Hurry? GET SOME NOW!